Click here for a real time view of this store's inventory. If there is anything you want that you could not find via that link, we can order it for you if it is in print! It is often quick, inexpensive, and that is our job, so please do not feel like you are asking a favor. That is what we are here for - to get you the music you love! We place orders all the time, so it is routine rather than a "special order." This is also a great way we learn about bands we may not have thought to carry, so we appreciate your input. We learn from customers all the time. Please submit your requests here and we will get back to you with a price quote and you can say 'yay' or 'nay' before we order it. For the most up to date information about store hours, new collection arrivals, sales, etc. please check our Facebook page. We will usually stay open later if it's busy. 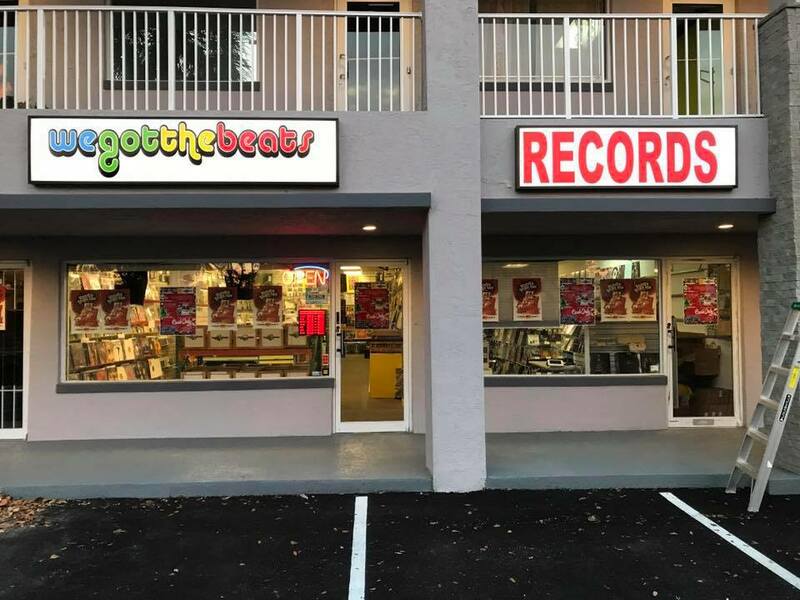 We buy and trade records! There is a separate page for that here. Our prices are extremely competitive (and in some cases downright cheap.) We can often meet or beat even Amazon's pricing on most titles. While we specialize in dance music, pop, divas, remixes, and singles, as well as R&B/soul/hip-hop and classic rock/70s/80s music, we can order just about anything for you that is still in print and it will usually arrive in as little as 1 to 3 days (depending on how soon we place an order with our wholesaler.) Email your requests to wegotthebeats@aol.com. We also participate fully in all Record Store Day events. We do not jack up the prices on Record Store Day merchandise in our store. We sell it at the suggested retail price. Note: we have some additional parking behind the store. We are a few buildings north of Commercial Blvd, on Federal Highway, on the East side of the street. If you pass us, you can just make the next right, and then a quick right onto the first street (you'll see a lot of apartment buildings) and either park in our back lot, or continue making two more right turns to get back onto Federal Highway.